Hey everyone! Today we have a really fun Quirky Question Of The Week. Do you have a sister or brother? Well, today you get to pick two additional siblings! If you had a choice, who would you like to have as a sister and a brother? It could be a person that’s older or younger than you. It could also be a celebrity, a character out of a book, or someone you know. 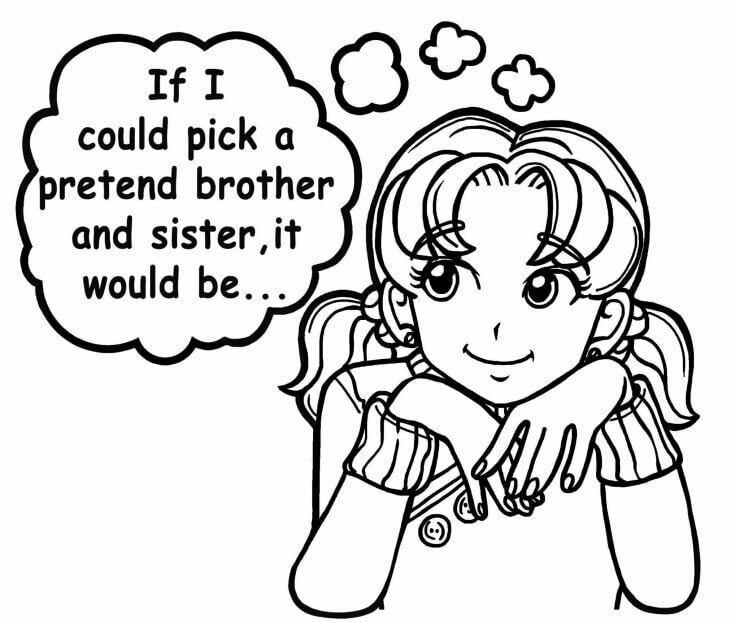 Tell us your pretend sister and brother below and the reasons you selected them! If l can choose a sister , she will be Brianna!She is cute. I would have a older sis and she would be my BFF! and I would also have a twin brother,and he would be my fave character from a not-english-library book “colorful”. i’ve had enough of little brothers! Well, I have a younger brother and honestly, he is super ANNOYING. My sister would be Victoria Justice as she is pretty and cool or my bestie! I would pick an older sister, such as Emma Watson. Or Nikki Maxwell! Well, Agatha and Sophie from the book, ‘The school for good and evil’ My no1 book series!